The cost of educating illegal immigrant children who are residing in the United States will cost one school district in Louisiana almost $5 million, according to the Louisiana Department of Education. State Superintendent of Education John White crunched the numbers in response to a request from Senator David Vitter (R-LA). The Jefferson Parish School System estimates the total cost associated with educating these students to be $4.6 million. The district will receive an estimated $2.2 million toward this cost through the state funding formula based on the October 1 enrollment count adjustment (533 students x $4,261 per student). The other affected districts are calculating their estimated costs and will report them to the state next week. In addition to normal cost of sending a child into the public school system, these aliens often need additional aid to address the language barrier. White noted that to serve the 533 illegal immigrants, the district would need to hire several additional English as a Second Language teachers. Louisiana is among the 10 states that have received the most unaccompanied alien children, according to data compiled by the Federation for American Immigration Reform (FAIR). 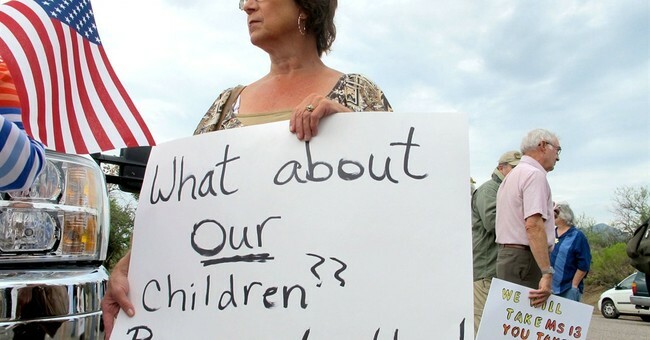 The state will pay $25.8 million to educate 1,250 illegal alien children this school year. Unaccompanied alien children have been relocated to every state in the nation, stressing local education budgets. Costs of accepting the young illegal immigrants range from $147.7 million in New York with the addition of 4,159 students, to $18,630 in Montana, which will enroll just one child. Sen. Vitter attributed the sharp increase in illegal immigrant minors to the Obama administration policies, and in particular to the Deferred Action for Childhood Arrivals (DACA) executive action in 2012. As I noted in a previous post, communities are required by law to educate illegal immigrants in public schools. So, taxpayers are being forced by law to pay to educate the very individuals who have broken the law. Something about this just seems terribly amiss.